Not unlike Cambridge's Lamplighter, Somerville's Winter Hill Brewing company burst onto the scene a couple of years ago and seems to be quite the local hangout spot to get both beer and coffee. Until now, (today, actually!) there hasn't been enough beer to go around for them to send their product out to our store. Enjoy these cans of hazy, but not cloudy, West-Coast-meets-East-Coast IPA. Primarily hopped with comet, this is on the bitter, dank end of things, and it's super fresh, as it was canned last week. There's nothing normal about these beers from Normal, Illinois. Or is there? "Synchopathic" is a dry-hopped sour ale. We've seen quite a few of those in our day. "Cranberry Criek" is a sour ale brewed with cranberries and cherries. We've seen some of the former and plenty of the latter fruit in our sour beers. "Here Gose Nothin'" is a gose, lord knows we've seen a few of those, I suppose. "Lynnbrook" is a raspberry sour and well, you get the idea. Nothing new here, and yet all are quite well done. Plymouth's Mayflower Brewing company just turned ten years old, and celebrated in January by canning this brand new Imperial Stout. Seems like a 10% abv imperial stout would be a no brainer for this brewery so adept at making malt driven beers... but they turned it up to eleven! 11% abv that is. As you might expect this isn't exactly a patio pounder, but this isn't patio pounder weather. Let this one warm up on you and take it slow. Ten years in craft beer is something to savor! Six years ago, Worcester's Wormtown introduced this massively hopped double IPA with grapefruit peel and buddha's hand. Perhaps because of the sheer variety and amount of hops, or perhaps because it's mostly just peel as opposed to pulp being added to the beer; but for whatever reason, this one sticks out for us in a category that has become over-crowded. Allagash is starting the new year off right with this Belgian-style stout that has been blended with cold brew coffee from their Portland neighbors, Speckled Ax. Previously a one-off available only at the brewery, limited amounts of this one just hit distribution this week. 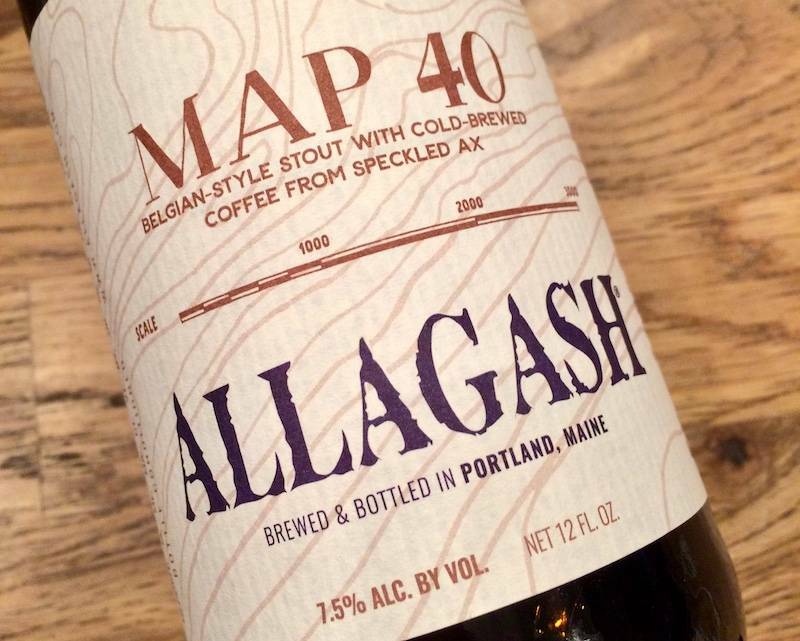 Allagash can seem to do no wrong, and the trappist style-yeast, chocolate and brown malts, and the coffee all work together in harmony to create a rich, creamy, and unique dark beer that should appeal to more than just coffee lovers and dark beer aficionados. Another winner!